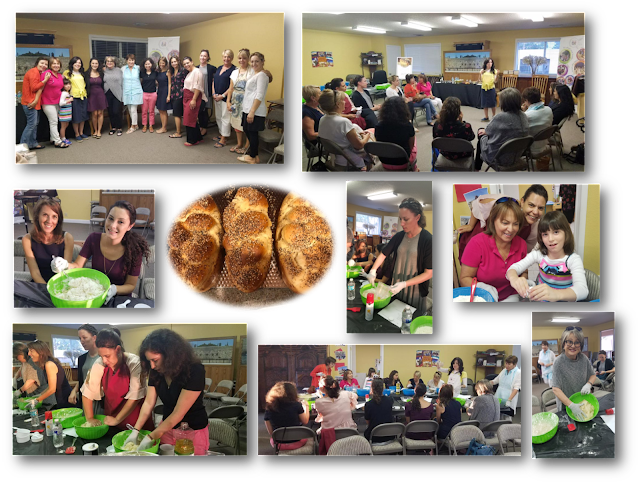 At our monthly Challah Bake, “The Challah Club”, we had the good fortune of hearing from a young, 21 year old Israeli girl named Marley. She was born in the US and at a young age moved to Israel with her mother. Unfortunately, shortly thereafter Marley’s mother passed away. She had a challenged upbringing both socially and economically. As Marley described her future seemed bleak. Before being drafted in the army, Marley heard about the Alma Mechina program made possible through the Jewish Agency for Israel. Alma is a pre-military program for at-risk girls who come from economic and social periphery. It gives the girls an opportunity to develop themselves, hone their leadership skills and develop their love for Israel and a closer connection to their Jewish identity. By going through this program the girls have a much greater chance at receiving better positions in the army, which will affect their opportunities later in life as well. It was so inspiring to hear from the beneficiary herself, of such a wonderful program, the Alma Mechina. Marley gained the self-confidence to believe in herself and uncover her innate capabilities and potential. It allowed her to not only apply for and receive a higher level placement in the Israel Defense Force (IDF), but to eventually become a commander of her group as well. Marley expressed that as a commander she was able to give to her unit the confidence, leadership skills, and belief in themselves that she received through Alma Mechina.